Looking for an e-commerce solution that can fit everyone from small businesses looking for a hosted solution to enterprises and major brands like Nike, Oneida, and Fiji Water? Or are you a developer who would like to dive into the source code and really get granular with your e-commerce platform? If so, then Magento Commerce may be the answer to your needs. In this article, we’re going to look at what beginners need to know about Magento Commerce, from setup to launch. The Magento e-commerce platform allows you to sell anything in industries from agriculture to weddings, so long as it isn’t illegal to sell online or offline of course. Digital products, physical products, drop ship products, and services can be offered by your business to potential clients. If you are using the the hosted version of Magento (perfect for small businesses), you will have to adhere to the Terms of Service for Magento-owned websites. Enterprise users must agree to the Enterprise Edition Agreement. 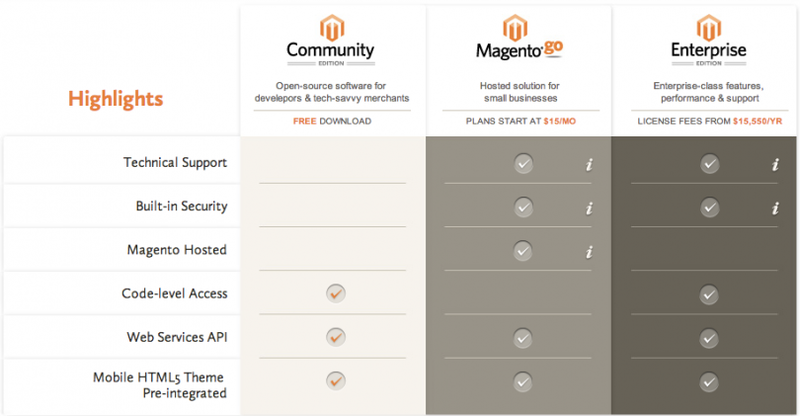 Magento has three editions: Community, Magento Go, and Enterprise. The main differences between the three editions are as follows. The Community Edition is an open-source software for developers and the tech-savvy to install on their own websites. It is free to download, but does not come with support, built-in security, and some MagentoGo and Enterprise features and functionality. Magento Go is the hosted version of the Magento e-commerce platform for small businesses who need 24/7 support, security, hosting, and more features. Plans start at $15 per month based on the number of products, online storage space, and support needed. The Enterprise Edition is the full featured version of Magento specific for large businesses, corporations, and big name brands. Licensing fees start at $15,550 per year. You can get a more detailed comparison of what each edition includes here. You can also go directly to download the Community Edition, see a tour of the features for Magento Go, or learn more about Enterprise Edition. Since I am neither a developer or an enterprise, this section will specifically reference the Magento Go edition of the Magento e-commerce platform. 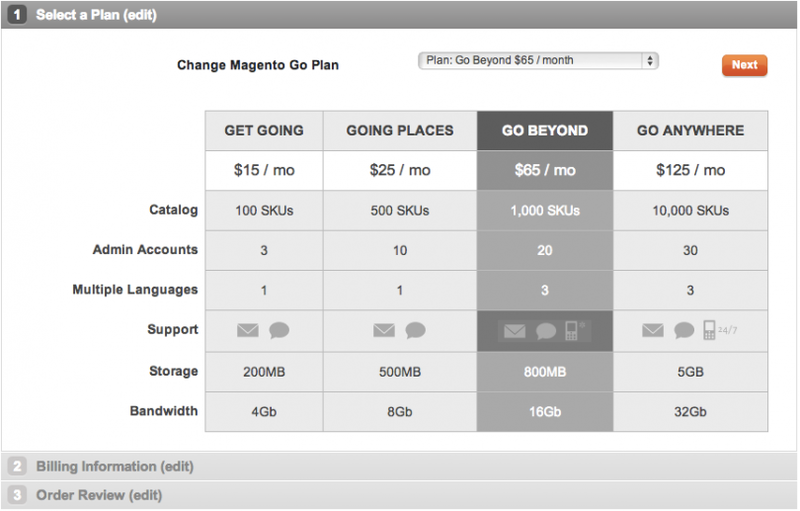 Magento Go offers a 30-day free trial of their service. To get started, sign up on their plans page by entering your name and email or choosing a specific pricing plan below the signup form. Next, you will enter your basic details including your name, phone number, desired username and password, business location, industry, and experience level when it comes to e-commerce and web design. When you click Create My Store to complete your signup, you will be taken to a screen to review your information and get the link to the store admin. 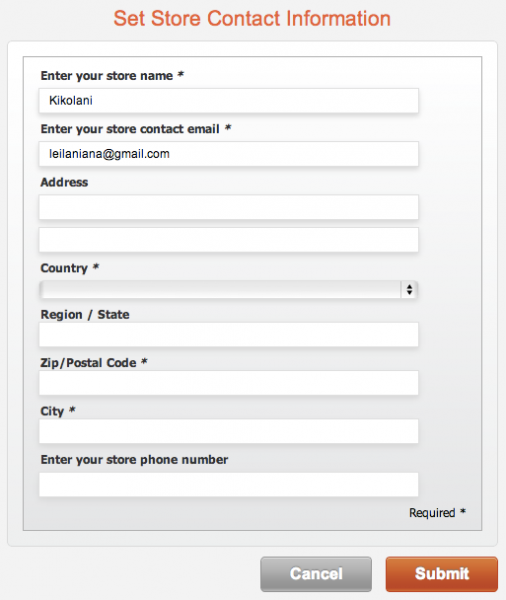 Once you login, you will see the main eight steps in creating your store. 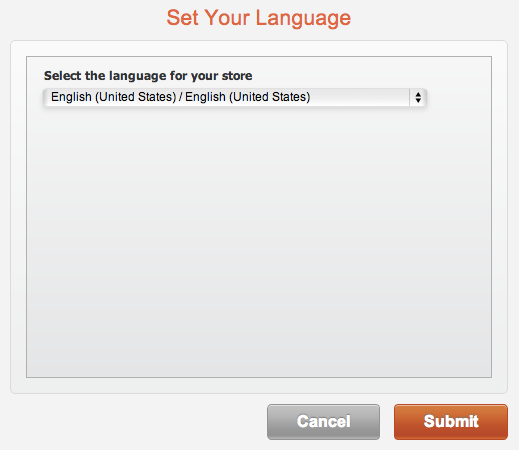 First, you will choose the main language for your store. The default is set to English. 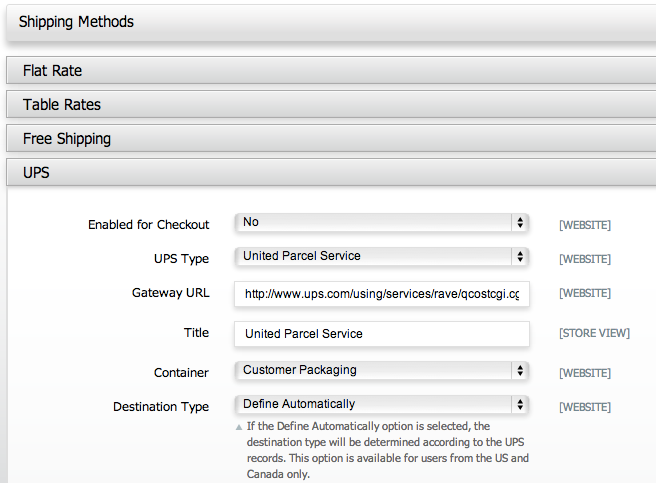 Next, you will set up your public store contact information, with your country, postal code, and city required. 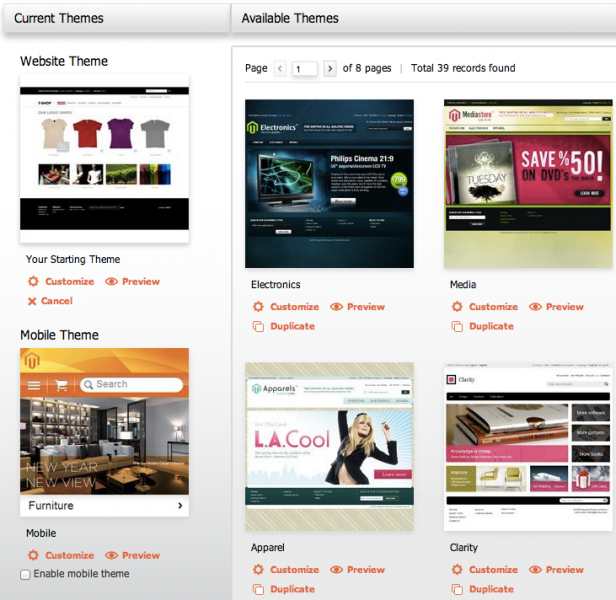 Magento Go offers a growing selection of professionally designed themes to choose from. You can further customize your themes by using the Design Settings Editor or use your own CSS code as well as add your own store logo. This step asks you to choose a paid plan. You can continue with your free plan that allows you to create a live store, but with only the same features as in the Get Going plan (up to 100 SKUs, 200MB storage, and 4GB bandwidth. You can add new products to your Magento Go store by creating them manually or importing them from a CSV file. If you are new to e-commerce, adding a new product can come off as a little daunting. For simple products without options, you will have 12 screens of information to configure including the following. General Information – The name, description, SKU, weight, and other basic features of the product. Prices — Set the pricing, taxes, and MSRP details for your product. Meta Information — This allows you to configure the SEO settings for your products. This way, if you want to have a fun name for your product (like Cajun Harmony), you can still cater to search by having a SEO title like Cajun Harmony – New Orleans Women’s T-Shirt. Images — Upload one or more image files for your products. Design — Choose from a variety of product-specific themes with category selections from Arcade to Theater. Shipping Group — Choose the type of packaging your item will be shipped in (optional). Inventory — Allow Magento Go to control inventory management and minimum or maximum order availability. Categories — Add your product to a specific category in your store. Related Products, Up-sells, and Cross-sells — Choose related products to be recommended to your potential customer for increased sales. Custom Options — Add any additional fields to your product for additional details (text fields, drop downs, etc.). If your products have complex features (sizing, colors, levels, etc. ), then you will want to refer to the guide on complex product setup, which explains how to use attributes and attribute sets for each of your products. Here, you will set up how your customers will pay you for your products. 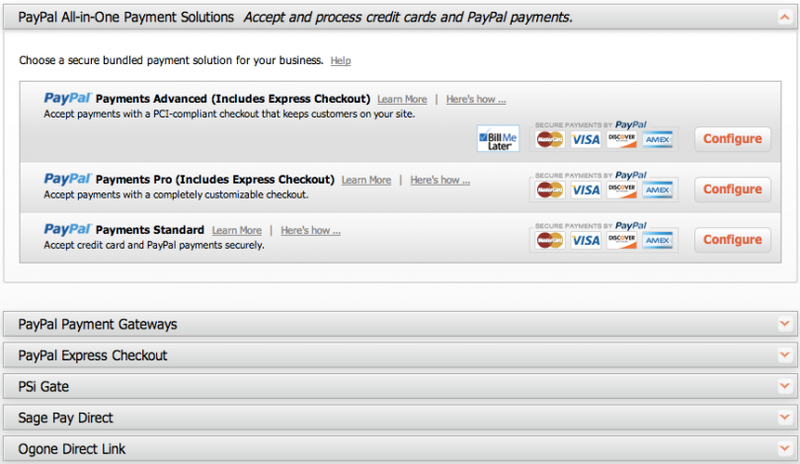 Magento Go works with many different payment gateways including PayPal, Braintree, Authorize.Net, Google Checkout, and others. If applicable, you will also set up tax calculations for your products. If you are selling a physical product and shipping it yourself, you will want to configure the detailed shipping options. You can choose flat rates, table rates, free shipping, or work with delivery services such as UPS, USPS, FedEx, and DHL. Once you have configured all of your settings and added your products, you can launch your store. You can also get details about setting up a custom domain (such as yourstore.com instead of storename.gostorego.com) and using SSL certificates. Before you launch your store, however, you might want to browse Magento Connect, the extension marketplace for Magento Go stores. Extensions will help you further enhance the functionality of your store for you and your customers. Categories for extensions in the Magento Connect marketplace include the following. Customer Experience — Customer experience extensions include blogging tools, checkout enhancements, gift options, internationalization & localization, mobile optimization, personalization, search & navigation, social integrations, and widgets. Integrations — Integrations allow you to connect your e-commerce store to your CRM, email, additional payment gateways, shipping solutions, and other systems. Marketing — Marketing extensions give you the power to get the word out about your online business through advertising, affiliates, email, PPC, search, and social media. Site Management — Site management encompasses administration, automation, B2B, billing & invoicing, catalogs, content management, and other important features. Utilities — Utilities are extensions that help with the base functioning of your store’s server caching, performance, and optimization. One of our favourite extensions for Magento is called MageMail.co. It’s the best abandoned cart software for Magento and you only pay for it based on how much money it earns you back. How brilliant is that? Magento has a great base of educational content to choose from. First, you have the Magento User Guide that covers getting started, managing your store, optimizing for search and social, marketing, and expansion. There are also video tutorials for those who want to see everything in action, from building your store and customizing your design to quick tips. Paid users of the Magento platform can contact support 24 hours a day, 7 days a week by opening a ticket or starting a live chat. Certain plans also come with phone support. You can even talk to other Magento users in the discussion forums. You can also get professional help from certified Magento experts that will help you set up your store and offer you e-commerce consulting advice by visiting the pros section. Have you used Magento as your e-commerce shopping solution? Please share your experience in the comments! Great tutorial. I read an introduction of Magento on their official docs and Magenticians blog, but I like your blog as well.